Rescue Stories. Rosie. Be The Change. Be the Change. You Make A Difference. Rosie’s Story. Every action no matter how small helps. If you love animals, Be The Change You Want To See. You make a difference. Today I want to share a story about Rosie and how caring people rescued her and her 40 other dogs kept in deplorable conditions by a horder/breeder. Rosie is a spirited little girl with so many congenital defects. She had mange when rescued, was covered in filth but somehow had survived even though she has a malformed jaw, teeth problems and fused leg bones. She learned to walk on the upper part of her legs to move around. Because of her misshapen jaws she had to scoop food into her mouth. 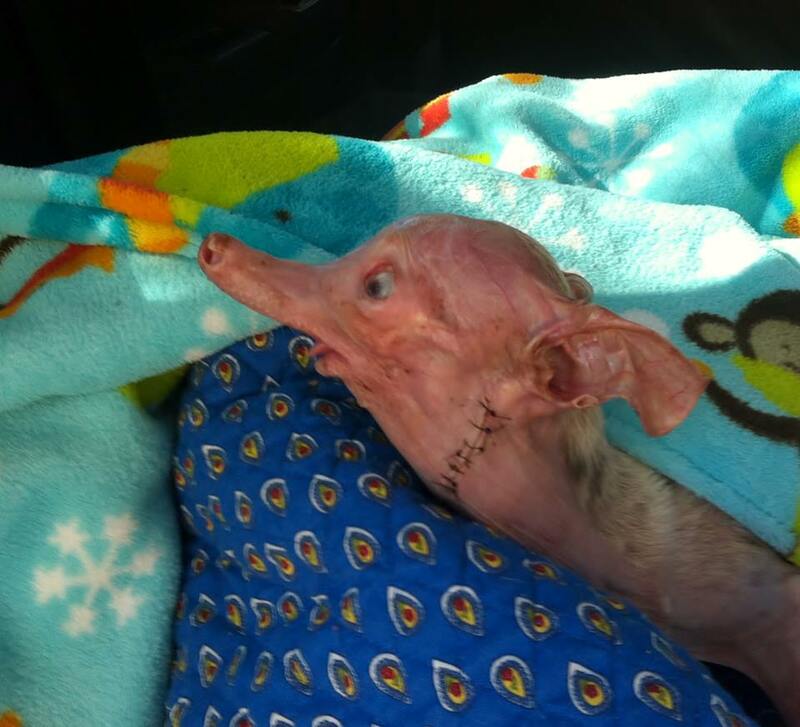 Rosie has skin problems as a result of her mange and immune system so she has a bald head. She isn’t a pretty dog. But when I look at her I see a beautiful girl with spirit. She has a wonderful adopted family that loves and cares for her. When you follow stories of animals with challenges, you come to love them dearly. And they and YOU help educate the world. Support animal rescue however you can. 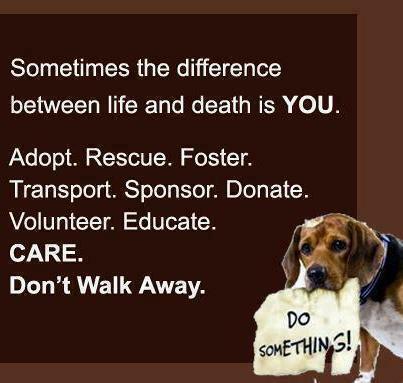 Donate, volunteer, foster, adopt and educate. You make a difference. The people that adopted Rosie deserve praise. They are excellent humans. You can like her Facebook page and follow her blog to keep up with Rosie’s progress. Don’t be an owner. Be A Guardian. I think Rosie is beautiful!! She certainly is beautiful. Thank you for commenting. Thank you for helping through education. 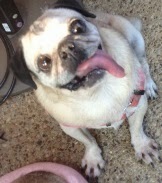 Have been following Rosie and loving her and her family since she was adopted into her forever home. Thank you for including her story! More inspiring stories to come. I appreciate you taking time to read and comment. Supporting animal rescue is only half the solution. STOP supporting backyard breeders/puppy mills that create puppies that are born deformed and unhealthy due to inbreeding and unsanitary conditions (including hoarding). Everyone loves Rosie just as she is, but we surely can agree that it’s not a kindness to support and industry that creates these medically fragile animals. If Rosie hadn’t been found by some very special people who were willing to give her a chance (God bless them), she certainly would have been euthanized. Thank goodness she was saved and can be a happy ambassador showing the world the danger of backyard breeders and puppy mills. If Rosie can do it, the rest of us should do our part, too. Dogs and cats should be ADOPTED, not BOUGHT. I agree wholeheartedly. I appreciate your input. Dogs and cats should be adopted. More legislation along with education is needed to protect animals and do away with puppy mills. A very moving story and you’re right there are thousands and thousands of animals out there waiting to be rescued. For many, time is running out. Each of us need to do what we can, volunteer, adopt, share your knowledge, encourage others to adopt rather than shop and donate to reputable organizations. You are right! Thank you Susan. Rosie’s story is so inspiring! Love this little dog! I smile at pretty things. When I see pictures and videos of little Rosie, I smile. That means she IS pretty to look at. I just love my Rosie Posie !!!!! I just started to follow Rosie she is a Beautiful little Angel that makes my day she always puts a smile on my face .. I am so happy that she has a forever Home .. There are so many fur babies That need are help and some of them are not going to be so lucky …. God Bless Rosie Posie and her family xoxo Thank you for including her story …. Thank you too! Sharing helps. I came here via a link from Rosie’s fb page. Thank you so much for featuring precious Rosie in your blog. She is an inspiration and an example. We never have to “give in” to what looks like overwhelming odds stacked against us. We can continue to pursue our dreams and enjoy the joys and love that come our way. I absolutely love Rosie. Thank you for stopping by. I love Rosie too. Yesterday I featured a rescue story. I hope to be able to follow up with her forever family. You are so right, Never give in or give up ! We Love you little Rosie!